Two hundred Charlotte-based women gathered for a two-day event, STEP Forward: Charlotte, packed with leadership development sessions, networking, and roundtable discussions. While women make up about 47 percent of the labor force, they represent only 29 percent of the manufacturing workforce. 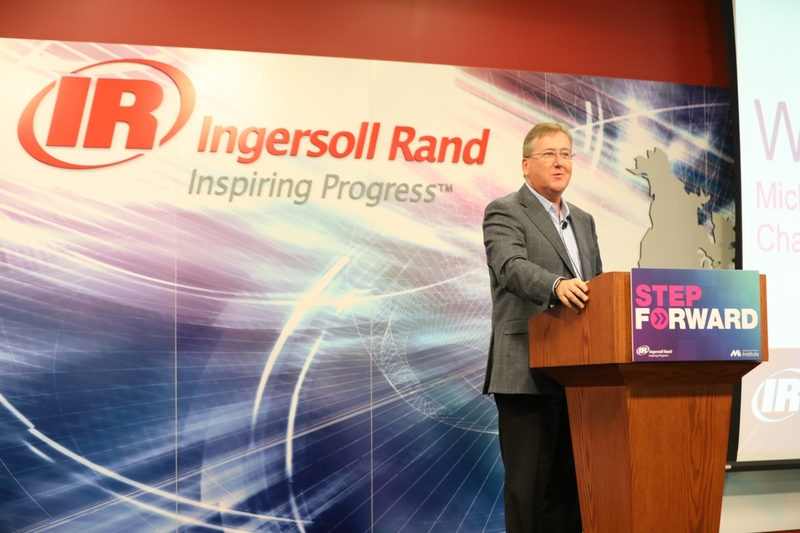 Through STEP Forward, The Manufacturing Institute and Ingersoll Rand are committed to connecting more women with the rewarding, fulfilling and well-paying opportunities that manufacturing offers. The Manufacturing Institute Executive Director Carolyn Lee shared, “The women participating in this event demonstrate what modern manufacturing careers are all about: making an impact in their communities with meaningful careers that offer significant opportunities for growth.” The STEP Forward program charges women to reflect and think about how they make their learnings from the program actionable in the workplace or in the community. 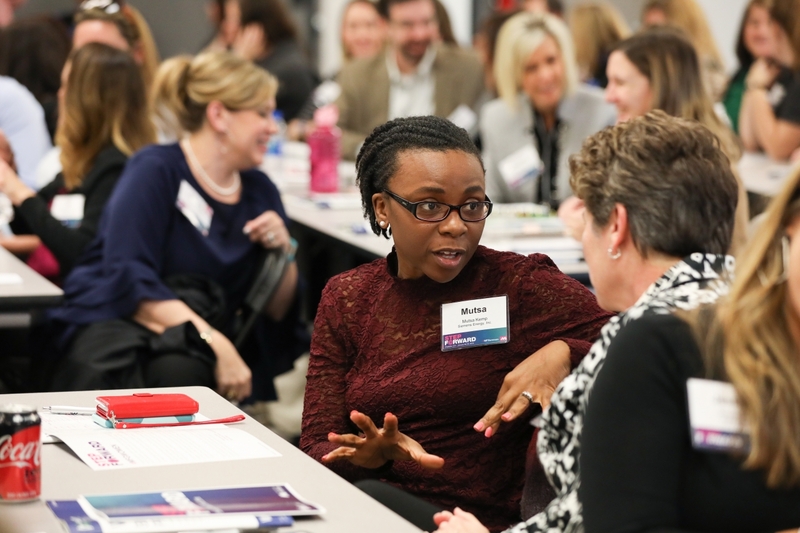 WASHINGTON, D.C., January 30, 2018 /3BL Media/ – The Manufacturing Institute and Ingersoll Rand plc (NYSE:IR), a world leader in creating comfortable, sustainable and efficient environments, brought together 200 women in manufacturing for a two-day event, STEP Forward: Charlotte, packed with leadership development sessions, networking, and roundtable discussions. The Manufacturing Institute launched STEP (Science, Technology, Engineering, and Production) Forward to promote the role of women in the manufacturing industry and offer companies a unique opportunity to strengthen their diversity strategies and develop new concepts for advancing and retaining female talent. STEP Forward: Charlotte convened women from all levels of the manufacturing workforce, from the shop floor to the C-suite. Attendees heard from Michael W. Lamach, chairman and chief executive officer at Ingersoll Rand and Carolyn Lee, executive director of The Manufacturing Institute, offering solutions and leading best practices. The event mobilized attendees to act as a catalyst for change within their companies and communities. While women make up about 47 percent of the labor force, they represent only 29 percent of the manufacturing workforce. 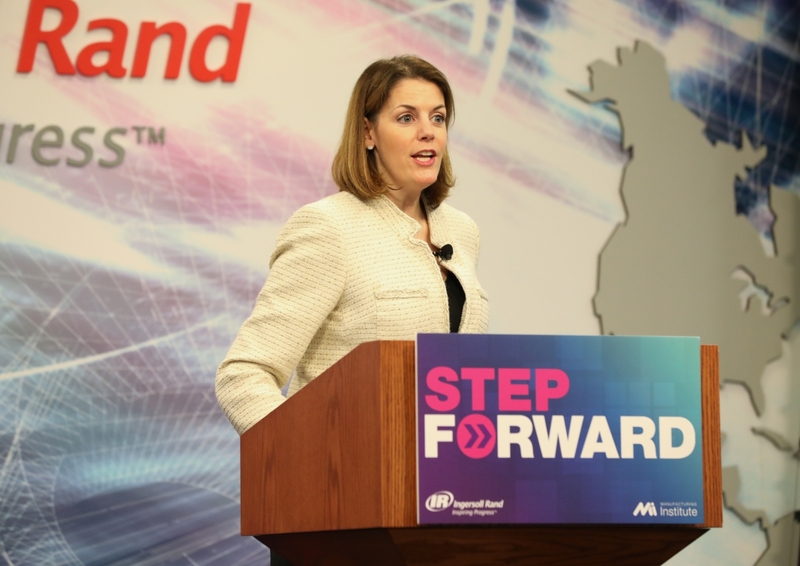 Through STEP Forward, The Manufacturing Institute and Ingersoll Rand are committed to connecting more women with the rewarding, fulfilling and well-paying opportunities that manufacturing offers. Ingersoll Rand (NYSE:IR) advances the quality of life by creating comfortable, sustainable and efficient environments. Our people and our family of brands — including Club Car®, Ingersoll Rand®, Thermo King® and Trane® — work together to enhance the quality and comfort of air in homes and buildings; transport and protect food and perishables; and increase industrial productivity and efficiency. We are a $14 billion global business committed to a world of sustainable progress and enduring results. For more information, visit ingersollrand.com.